Mizuno BANDITOS Camp (Born in ’07 and ’08) August 6th to 11th More INFO! 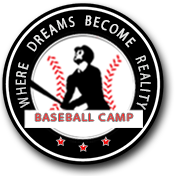 The “opening pitch” for the 2018 Big League Experience camp season will begin with the return of the Mizuno BANDITOS 10/11 Camp to be held in Oliver, August 6 to 11. This camp is designed for players of all skill levels born in 2007 and 2008. The BANDITOS camp will focus on the basic fundamentals of the game, including throwing, receiving, fielding and hitting along with team play. Campers will train and play on a 60 ft/46 ft. diamond. Cost of the camp including lodging, meals, camp shirt/hat/shorts, camp instruction, coaching and supervision will be $695 plus 5% GST.